Mitch Rose, CEO of The Woodlawn Cemetery, was inaugurated as President of CANA in July at our 100th Convention. 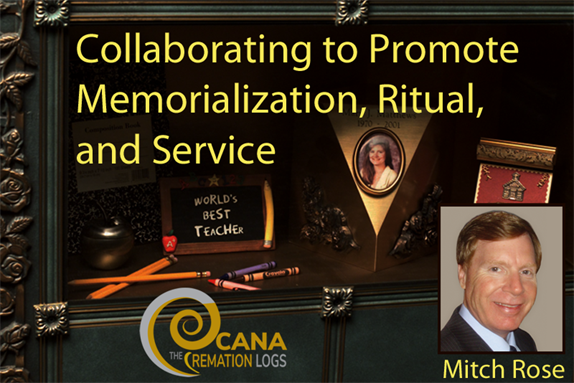 Mitch has many plans for his term as president, primarily focusing on cremation memorialization and the ways our industry can work together, learn, and share what we know. The following is an excerpt from a past issue of The Cremationist about the ways that funeral homes and cemeteries can come together to inform the public on the options and benefits of memorializing cremated remains. The first thing that I think of with cremation memorialization is the old adage that the consumer who is interested in cremation memorialization doesn’t necessarily know what they want, but they do know what they don’t like, and in order to determine what they don’t like, they need to see it. So it’s important that the cemetery has a wide product offering to be able to show the consumer what those choices are and then to get a sense of what best suits their needs. To widen our product offerings at The Woodlawn, we started doing some retrofitting. We found corners, interior mausoleums, and blank walls where we could put in niche banks. We added curved, glass-front feature niches. We held an internal sales contest and had the counselors themselves design what would go inside behind the glass front, bringing in memorabilia, picking an urn, etc. We were able to leave one of the sample designs there when the inventory went up, so people could see it, like a pre-furnished condo model. They looked at it and it gave them ideas. We picked the center, heart-level niches and priced them like we would a heart-level or eye-level mausoleum. This equated to the price of a single crypt, which at first we thought was pretty expensive. But we discovered very quickly, by bringing the consumer to that site, that these niches were what people wanted. They saw other items—niches with lower prices at higher elevations—at a price point that was very inexpensive. But when they saw the more expensive glass-front, heart-level niches, those sold first. That helped us discover that your expectation of what somebody else is willing to spend is a very dangerous thing. Never put your wallet in somebody else’s hands. We developed photographs of the sample glass-front niche I described above, including the memorabilia. These photographs were brought to local funeral homes and we spoke to them about what I think is one of the most important things about the death care industry—the fact that funeral homes and cemeteries are really in this together, especially when it comes to serving the cremation customer. By offering glass-front niches, what we were able to do is demonstrate the value of memorialization, meaning those cremated remains are going to have a final resting place. Placing them behind glass absolutely changed the rules for the funeral home in terms of the urn. So we essentially took all our urns off the marketplace. We don’t compete with funeral homes on urns. By working together, the funeral home and the cemetery reinforce the idea of memorialization. This is critical in the era of cremation, where many cremated remains end up at home. You build relationships with the funeral director so the funeral home and the cemetery realize they’re in it together, and an interesting thing happens. By talking about memorialization, the funeral director is also able to promote the idea of ritual and services. If you’re going to place cremated remains in a chosen urn, the probability that there will be a ceremony—of any kind—is increased, because you’ve created value to permanence. Permanence in memorialization infers the same thing as what happens in a funeral service. You create permanent memories of a final tribute to somebody who has passed. I think those interlocking relationships are critical as we continue to move into the era of cremation-minded families. If you’re going to open a cremation garden, you want to make sure you have buy-in from your staff. Nothing is worse than investing in a particular inventory of additional niches or a mausoleum, and then your staff isn’t enthusiastic about it or isn’t showing it at the level of frequency that you want them to. People are creatures of habit, so if your sales agents are more oriented to selling the top level of the mausoleum, or they always seem to show a particular ground burial area, it’s important to break that up a little bit. For The Woodlawn staff, doing this exercise of filling the glass-front niches with memorabilia was fun, it was interesting—it was amazing what we ended up seeing. And it gave them buy-in into representing that product to the families. We do a lot of in-house training with our staff. Some of them have participated in coming to programs like the CANA cremation symposium, where they’re exposed to great speakers who can recharge them and create more enthusiasm. Even more important is the access to networking with their peers, because the challenges we face are pretty similar across the board. The amount of space you need to develop cremation inurnment rites is probably the best news about cremation. It’s so small, and the amount of volume you can get into a relatively small area provides a great opportunity. That said, I have seen many cemetery sections for cremation that, unfortunately, over-capitalized on that density. The rites themselves were relatively restricted in overall size, but the proximity of each and every one of them was so close that the end effect, once burials were made and inscriptions were added, was a very condensed, almost cluttered look. I think it’s important to make sure that you don’t overpopulate the size of your cremation garden – it’s a small area that will accommodate a large amount of cremated remains. That can be a very dangerous mistake and one that you have to watch out for before you get excited about how many cremation rites you can get in. The return on investment of an inventory development is certainly driven by the amount of units you’re getting into the confining space you’re developing – “If you want to maximize your return, put more units in! – but this can create a much denser environment. Aesthetically, that may not be as pleasing to the eye as it may appear to be on your financials. Be careful not to clutter the design. Be cognizant about how it will end up looking. A good way to do that is through renditions. Today, most of the major suppliers will readily offer prospective renditions. They’ll take a picture of a particular area, then they’ll take it back to their office and bring you back a Photoshopped design with these particular items in these particular places. Other vendors are using 3-D renditions such as SketchUp, where you’re actually able to move in a three-dimensional sense, where you can actually walk through the design—a virtual tour. There are many elements to consider with any construction, but in cremation memorialization they’re more important than ever. Certainly you have a manufacturer or supplier, many of which have design and build companies. There are benefits in using a design-build company in relation to one-stop-shop, cost, etc. You may also use an engineering consultant, because what looks good on paper may not necessarily translate physically into the known factors of your physical environment or your regulatory environment. But I think that often a final piece of that three-pronged approach to internal development is missed, and that’s an architect. In the cemetery world, an architect might not come to your mind right away because you’re tending to use design- build, and perhaps an engineer or construction company. But the architects who we’ve found the most success with are those who don’t come from the cemetery industry, they come from the landscaping and building construction industry. What they bring to the table is a high level of awareness of space and spatial dimension to assess what it will feel like when people walk into this space. Is it going to feel like we put something in there that wasn’t there before? Or is it going to feel like what we have added was there all the time, and it’s a natural fit? I think it goes back to development of long-range planning strategies that will allow for the backfilling of interior portions of your construction. To be developed in the future, but with a retrofitted sensibility. The tendency is, “I’ve been here x number of years, I know where these spaces are, let’s put up a niche bank, let’s get a design-build company, let’s just do it.” And I would advise everyone to really step back and realize that with long-term cemetery design— especially when it comes to cremation-minded families—creating an overly dense offering can really backfire. The independent-minded cremation consumer, who is questioning the need for a funeral home or wondering how to minimize the use of the funeral home in many cases, is not even assessing that a cemetery has to fit into this equation at all. These independent-minded consumers won’t come to the cemetery because they don’t see the need. Eighty percent of these cremated remains are not coming to the cemetery. But 100% of the families are using a funeral service provider. So the funeral home environment is always going to be there to serve those who have lost someone. In the cemetery world, we have a bigger challenge to even get them to think that the cemetery is something they might even want to think about. To do that, funeral home relations are going to become increasingly important. The value of memorialization at a cemetery really does interlock with the value of some kind of ritual. Ritual is a pretty broad word. It doesn’t have to be religious, it doesn’t have to be ceremonial, but the ritual of paying respect to the loss of life with the survivors is important. How that plays out is, of course, pretty wide open. It can be tough for the funeral service provider to explore new trends in this very traditional industry—an industry, very much like the church, that is bound by past conventions. With more and more unchurched families, we find that they bypass the whole piece. They can do everything online. I’m optimistic because in the history of business and America if you aren’t willing to change and meet that consumer need or consumer preference, that’s okay. Someone else will. And they will take the market. So I’m not overly concerned about what people are changing or how quickly they’re changing. My real concern is how do I adapt my entrenched methodologies, restricted by my long, thirty-year career? How do I get out of the box and reintegrate tools that I personally may not even use, like social media? I have to recognize that others use it so it makes sense. The overhead of maintaining a cemetery is certainly difficult for an operator. But the value of a cemetery and its upkeep is really a reflection on the community. Your engagement with the community, especially now through social media, is really your only solution to keeping people engaged with the cemetery and keeping them open-minded about what you’re doing and what you’re offering. At The Woodlawn, we’ve seen a gradual increase in memorialization, and, probably, a more dramatic increase in the average per sale. Because cremation-minded families mostly do not go to the cemetery and choose a memorialization, that’s even more reason to make sure that you have a wide range of offerings for the people who do come. The full article appears in The Cremationist Vol. 51, Issue 1 as "Cemetery Memorialization in the Cemetery" — CANA Members can log in to see this and more articles from our quarterly publication. Not a member? Consider joining your business to access tools, techniques, statistics, and advice to help you understand how to grow the range of services and products you can offer, ensuring your business is a good fit for every member of your community – only $470! Mitch Rose is currently Chief Executive Officer & President of The Woodlawn Cemetery in Bronx, New York and President of CANA. 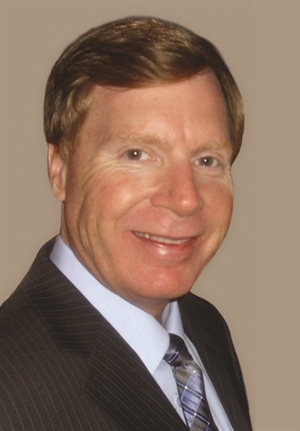 During his 30-year career in death care he has actively managed medium to large cemeteries, funeral homes, and crematories in the South, Midwest, and Mid-Atlantic regions for Service Corporation International for 9 years and Carriage Services for 11 years. Mitch joined the executive team of The Woodlawn Cemetery, a National Historic Landmark, as Vice President in 2010. Mitch was a professor at the ICCFA University in Memphis for 8 years, and is also a proud member of the Historical Cemetery Alliance & the Cemetery Council.